On average, the United States Postal Service (USPS) handles over 493 million pieces of mail (letters and packages) per day. That number does not include the additional millions of packages per day handled by other shipping companies such as United Parcel Service or Fed-Ex. On an average day, all of this goes off without a hitch. Sometimes, however, a malicious actor tries to take advantage of the system to kill, injure, or strike fear into an individual or organization. Is your security team prepared to recognize and handle a suspicious package? 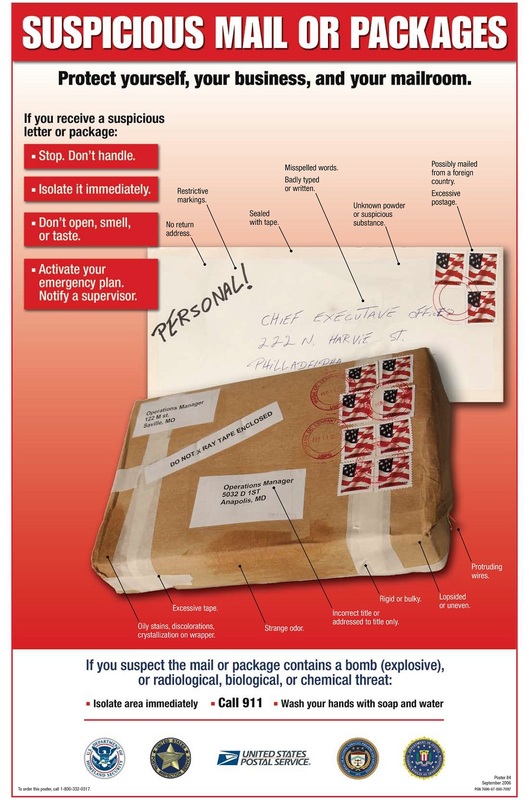 This poster from the USPS provides some tips on what to look for, and steps to take should you come across a suspicious package.